MUCH LIKE THE SECRET INFRASTRUCTURE OF money and power that makes the world go round, the Swiss Alps were imposing but nearly invisible as the world’s financial, political and intellectual leaders gathered in Davos. 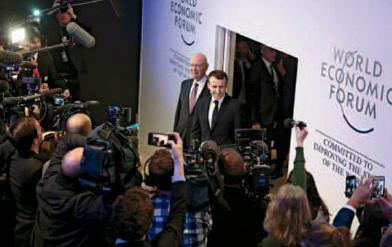 An epic 6-ft. snowstorm had snarled the Jan. 22 opening of the World Economic Forum. The bestowing of humanitarian awards on Cate Blanchett and Elton John had to be delayed by half an hour as the world’s VIPs slipped and slid and simmered in hours of stopped traffic.